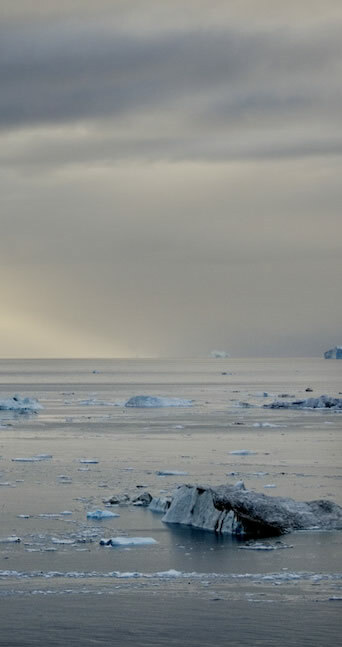 Parallel sun rays stream across Disko Bay, Ilullissat, Greenland's West Coast. Image by Bruce Melton. ©Bruce Melton, shown with permission. Disko was often the last port of call of many early sailing ship expeditions to explore the Arctic and find the North West Passage. The ships would cross Baffin Bay and enter Lancaster Sound to quickly become icebound for a year or even longer. Now the passage is increasingly ice free.